The VW microbus that was revealed in September is in there too. A pair of previously-unseen vehicles—a pickup truck and a jet ski—have been dug out of the Playerunknown's Battlegrounds test code by a redditor named Art_7s. The dataminer also found a mode for a new weapon, the DP-28, a Soviet light machine gun that was introduced in the late 1920s. They all look a little rough around the edges (and the jet ski looks like a clog with handlebars), but "these are just the raw assets without the UE4 PBR materials so they’re gonna look like crap as is," Art_7s said in the thread. "But when they’re in game they should look about the same quality as the rest of the vehicles." 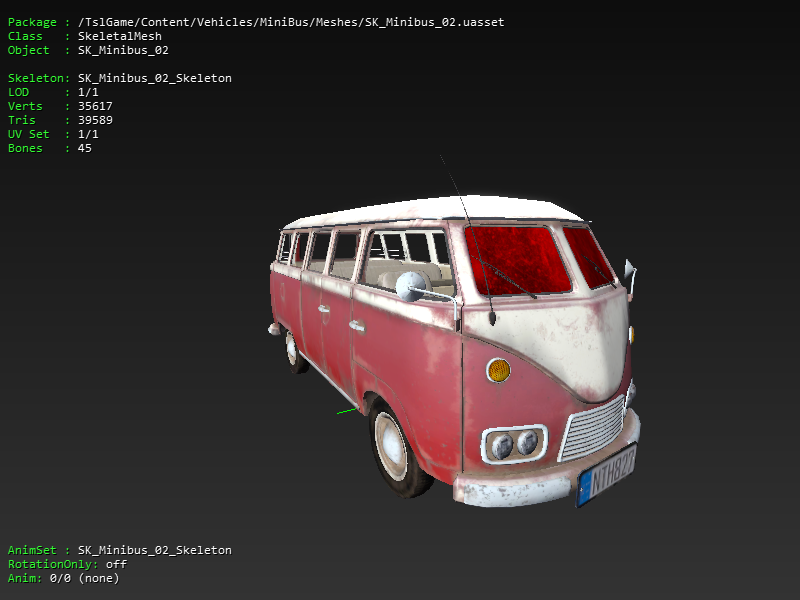 The presence of assets in test code is no guarantee that they're going to see the light of day (although how PUBG Corp could take a pass on a jet ski, I have no idea) but it seems likely that they will: PUBG creative director Brendan Greene said in September that three new vehicles were in the works, including the VW microbus—which Art_7s also pulled out of the code. Update: The post originally indicated that the DP-28 was from the 1950s. It was in fact first adopted by the Soviet military in 1928, and phased out of service in the 1960s.